1. Think to yourself, what would a flooded business need? Consider donating specific items that are helpful in restoring a property to working condition. Things like gloves, buckets, and hoses are all examples of useful donations. This organization is asking for flood buckets. If you are planning on heading down to affected areas, organize a collection drive and get other small business involved. Another great way to help businesses rebuild is to donate to local organizations that are aiding in clean up efforts, such as the North Carolina Community Foundation. There are many pages set up to assist small business affected by the hurricane. The Columbus Chamber of Commerce and Tourism has a small business recovery fund, while this page is raising money for a local burger joint that was ruined by floodwaters. 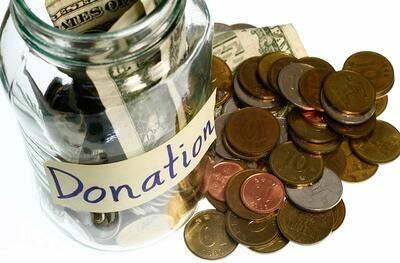 Click around, and find a small business page to donate to! If you’re in an industry related to insurance or banking, put your knowledge to good use! Help small businesses apply for disaster relief loans or navigate the world of filing insurance claims. Even if you can’t directly work with a business, just publishing resources on your website to get the word out might help someone in need. This article has a comprehensive list of available assistance that small business owners can take advantage of. Banks are underwater and ATMs are broken. While supplies are helpful, it can sometimes take weeks for them to reach their intended beneficiary. If the restaurant you visited every year on vacation was destroyed, or that small boutique your cousin told you about lost all of its inventory, consider sending a cash donation. It’s a way to build on a personal connection while helping a fellow small business rebuild in a time where there are a lot of hurdles and red tape to securing finances. 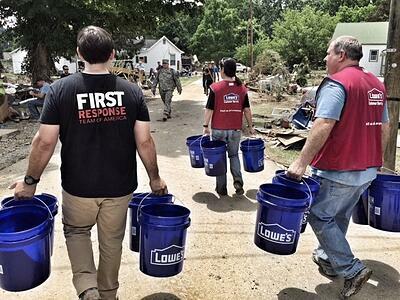 When recovering from a devastating natural disaster, any little bit of assistance helps. Being a small business owner means you know the challenges that these people are facing. AdvantEdge Workspaces is a community of small businesses, and we know firsthand the power of what they bring to their towns. We wish all affected businesses the best as they clean-up and rebuild.